For Pride month Out North returns to its LGBTQ roots, proudly reconfirming its commitment the community through its first LGBTQ Exhibit in the new downtown gallery, “Personal Queerness”. The exhibit features work from emerging and established artists living in Anchorage and Fairbanks. Each artist presents a personal visual narrative. The LGBTQ community has come a long way in the last decades to secure rights and protections, and become visible and accepted, or in some cases merely tolerated, in the mainstream, but the struggles of LGBTQ people are far from over. This exhibit reminds viewers that the personal is still political, and that to be true to one’s self is often the strongest form of resistance and the truest way to effect change. Jenny Miller with a video installation called “A Conversation With Me In Inupiaq”; Indra Arriaga painting and photographs; Whisper, aka The Formidable Artist with drawings and graphic art; Dana Hite paintings; and Jesus Cuellar, photographs and drawings. 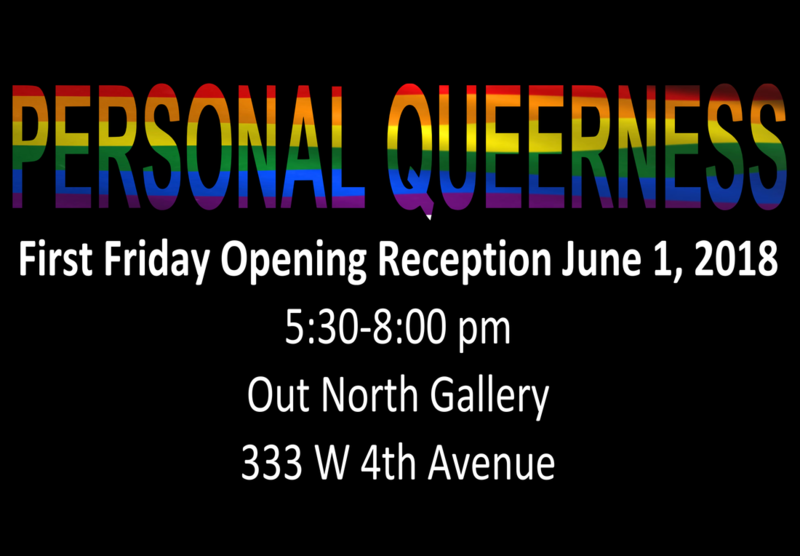 What: “Personal Queerness” Exhibit Opening Reception.